Now here's someone who's really deeply passionate about his craft. How can I tell? He actually does stuff, rather than just talk about it – unlike me. 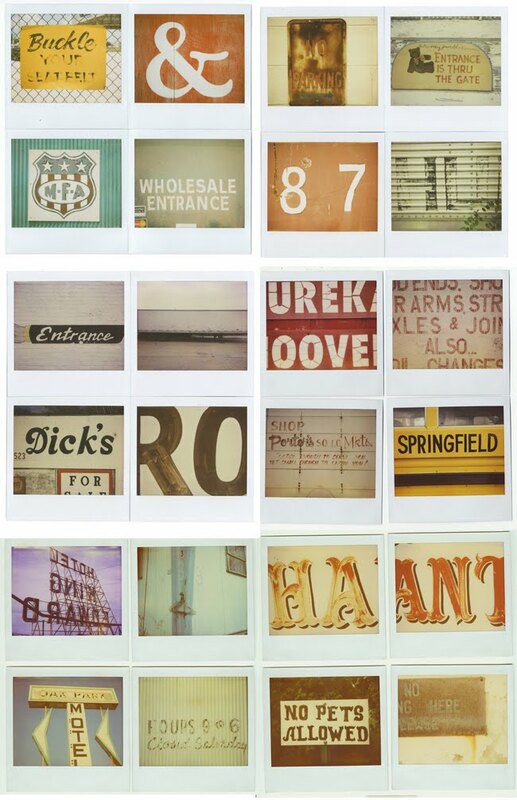 Douglas Wilson from Springfield, Missouri and is a letterpress printer, Polaroid photographer and graphic designer. He's been shooting a series of Polaroids (as in, the real things, not any Instagram/filter effects/ digital vintage here) – of old hand painted type. There are loads of shots on Flickr, but his website is here.